Today we've got a real classic chocolate bar for you. Anyone from the UK, Australia, or Canada will certainly know this one. 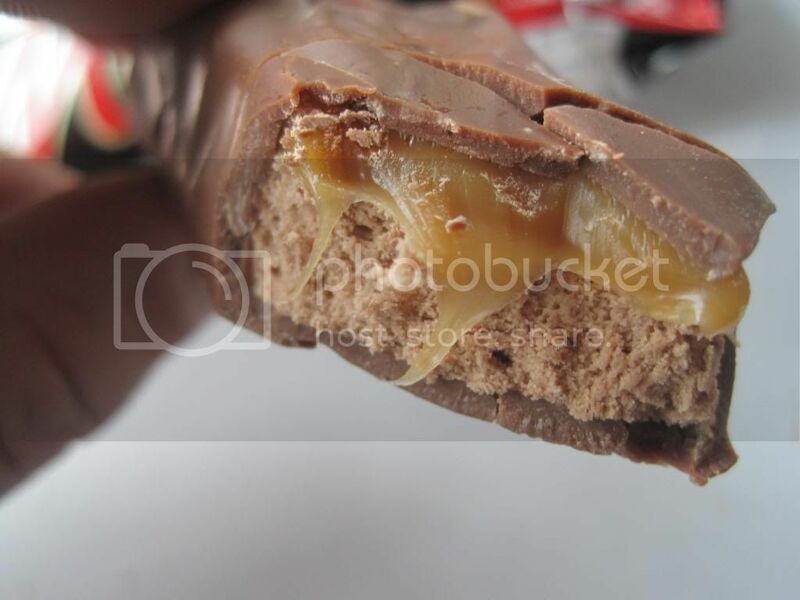 Lets have a look at the Mars bar. This is of course the signature chocolate from the Mars company. Its simple: chocolate, caramel (at least here), and whipped nougat. The design is elegant and proven since this form has certainly been around for quite a while. 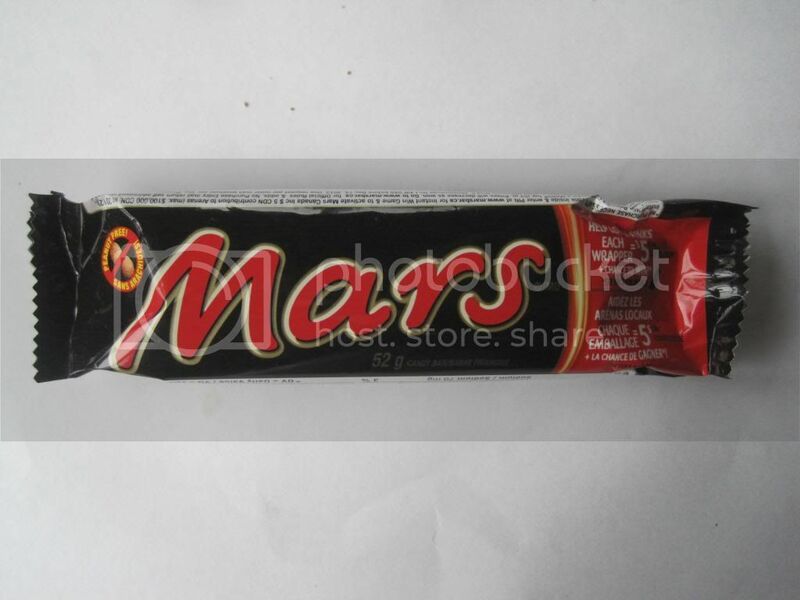 I personally have very fond memories of eating Mars bars as a kid. There was definitely a time when this was my all time favorite bar, and while it may have been replaced by others over the years, I can't say I've lost any esteem for this chocolate. Mars bars are simpy put awesome. So spoiler alert: I freakin' love these things. Looking at the package you can tell they mean business, Black, and Red. This is bold. Its a cursive font, perhaps a bit odd for such a straightforward bar, but Mars is also smooth, delicate. The nougat isn't a hard or chewy experience, its light and refreshingly delectable. To me the packaging strikes the right balance between pronounced and relaxed. Also it stands out in a crowd, very important for people walking the candy aisle. The bar itself, smells great. Very chocolaty. Slightly smaller than your average American bar, its got a thickness that may others do not. 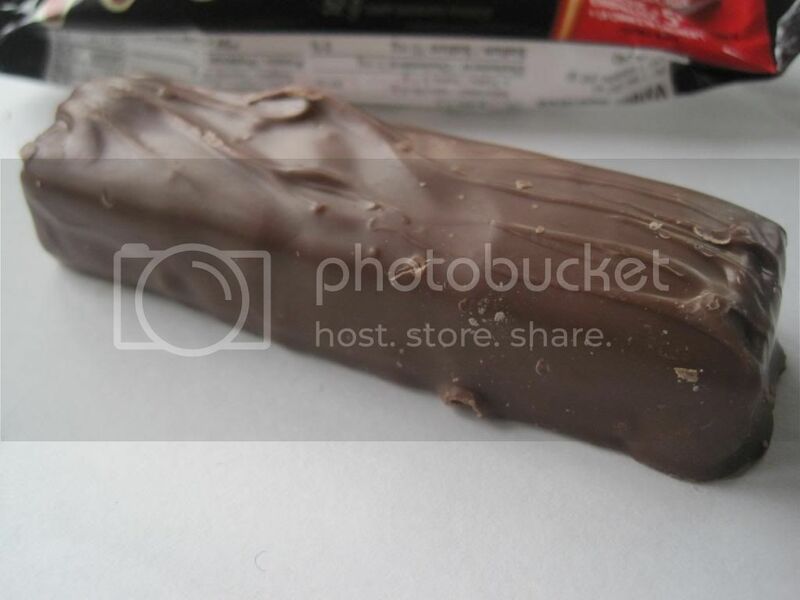 While the US Milky Way bar has some drizzled chocolate artifacing on top that form pleasing lines, I have to say the Mars bars lines are much more... veiny. I suppose thats not a term most would like applied to their chocolate bar, but its the best I can come up with. Still I'm going to try to not hold that against it. The bar is thick, and smells great, I'm looking forward to getting into it. Biting into the bar totally brings me back to my childhood. Man I ate a lot of fun sized Mars bars on Halloween. Anyhow, this is superb. The chocolate on the outside is seriously thick and rich. Since this is a Canadian Mars bar it has caramel, and the caramel is pretty soft, with a little pull but nothing that's going to get overly stuck in your teeth since it melts away soon enough. I'd say it might be a touch tougher than my perfect caramel, but the caramel melds so nicely with the chocolate nougat that I can't fault it. As you may know from past reviews that blending of chocolate and caramel is one of my favorite things in the world. I wish it blended as well with the outer chocolate though. The chocolate flavored nougat in the middle of the bar is the special kicker here. This nougat is very similar to a 3 Musketeers bar, only not quite as whipped or airy. Its got a bit of density, and a very nice chocolate flavor. Like all the best nougats it starts melting by the time its hit your tongue. What a marvelous experience. 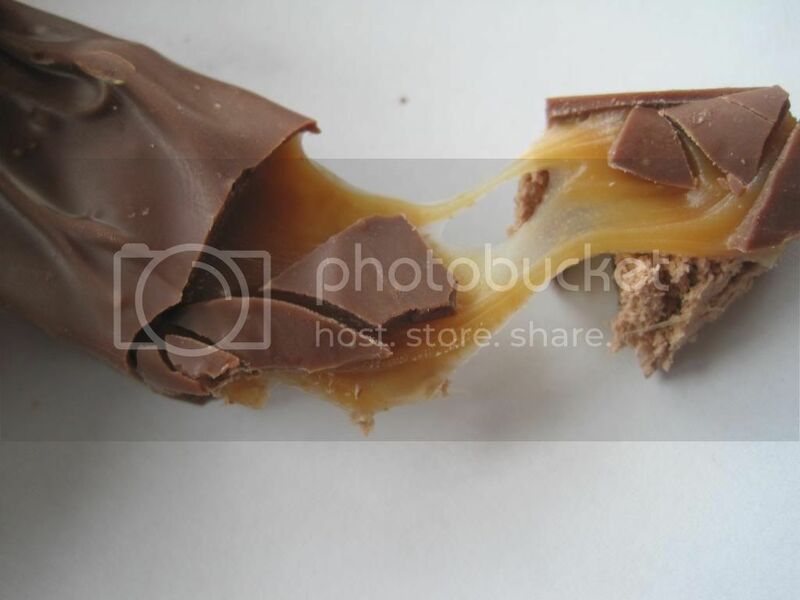 Just look at the beautiful pull on that caramel! This is really great stuff, I highly recommend you pick up a Mars bar and enjoy a little piece of chocolate bar heaven. No wonder this is their signature chocolate.